Discussion in 'Supplier' started by VitoriaRi, 7 Apr 2019. Today let's learn some information about a new item, and it's from Manufacturer SXK. 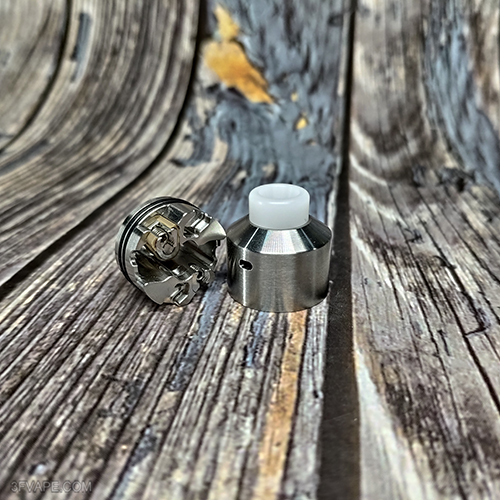 The SXK NarEA RDA Clone is a rebuildable dripping atomizer with 22mm diameter. It is made out of 316 stainless steel. Coming with dual-post design, it is easy to build. SXK NarEA style RDA is a nice single coil RDA that will provide intense flavor and massive cloud. 510 POM drip tip is included. * Single coil RDA with great flavor. * Compatible with Squonker Mods. Don't worry,this time we present to you the SXK NarEA RDA Clone unboxing video. The SXK NarEA RDA Clone is in stock now.